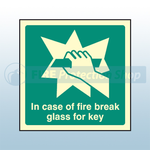 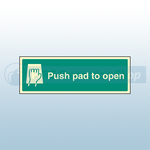 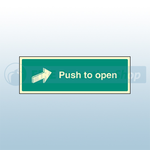 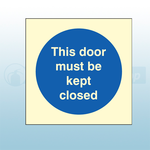 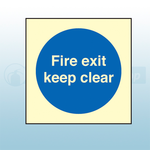 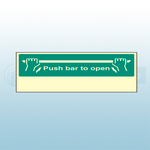 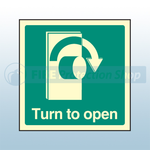 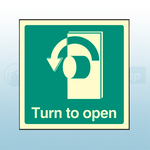 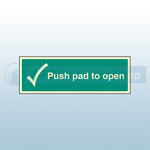 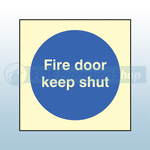 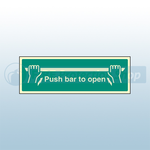 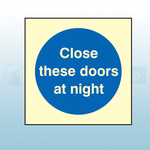 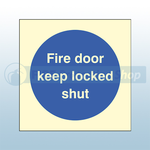 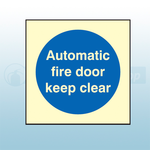 Available from Fire Protection Shop are a range of fire door signs to place on or near your fire door to demonstrate how to open the fire door, how to release the door, how to get the key, what to do in the case of a fire and signs to keep the fire door and escape room clear, closed, locked or shut. 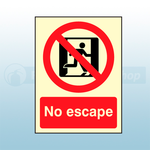 Also available is a no escape sign to show for example a lift can not be used as an escape route. 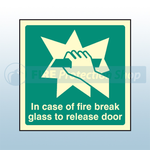 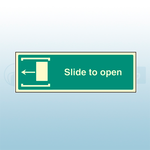 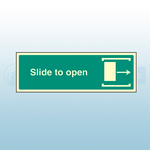 The photoluminescent fire door signs are available in a range of sizes and are ideal for interior use. The signs are high quality, glow in the dark and provide clear instructions.